Ohio Congressman Tim Ryan recently wrote an editorial for the Akron Beacon-Journal entitled, "Why I changed my thinking on abortion" in which he describes why he is no longer prolife. It's an editorial he should have written 5 years ago. Congressman Ryan has been a persona non grata to the prolife movement for more than 5 years. He got kicked off the board of Democrats for Life in 2009. He lied and falsely claimed his removal was because Democrats for Life opposed contraception when they don't. He also pulled an Obama and said the question of when life begins was "above (his) pay grade." After that, he tried to claim he was still prolife after voting in favor of letting Washington, D.C. spend tax dollars on abortion. The last time he voted in favor of prolife legislation was in 2009, when he cast a yes vote for the Stupak Amendment to Obamacare. That was his only prolife vote in the term. He hasn’t voted prolife since. And it's not like he was a solid prolife vote before that. National Right to Life gave him a 0% voting record in the 2007-2008 term, 80% in 2005-2006 term and 72% in the 2003-2004 term. What’s interesting is the publicity this editorial has received. The Hill, Time, USA Today, all have articles on the editorial along with numerous Ohio papers and local papers outside of Ohio. The articles often fail to quote prolifers who recognized Ryan abandoned the prolife movement long ago. Or mention that Ryan is likely running for the U.S. Senate in 2016. 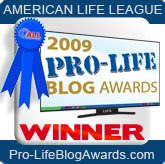 In hilarious fashion, Patricia Miller describes Ryan as "one of the most principled and prominent pro-life Democrats" in an article for Religion Dispatches. In one particularly creepy quote, Ryan discusses how the recent birth of his son moved him to be pro-choice. Ryan also has an 8-month-old son, his first child. He told The Associated Press in an interview that it was not coincidence that the declaration followed his experience realizing the battery of tests, check-ups and health decisions involved even in a healthy pregnancy. "That's, to me, when it really hit me," Ryan said. "Like, there's no room for Uncle Sam in this examination room as we're getting test results back, regardless of how they come out." It really hit you that it should be legal to kill unborn children while your wife is pregnant with your unborn child? I feel bad for your son when he grows up and reads that. The pro-choice movement and Planned Parenthood can have Congressman Tim Ryan. The prolife movement doesn't have room for lying, opportunistic politicians who are thinking about abortion while their child is in the womb. The whole thing was just an abortion lobby PR move. Period. Paragraph.